Smooth Touch use the latest LHE (Light Heat Energy) Technology in a system called KONA . One of the few systems approved by the FDA (U.S. Food and Drug Administration) for permanent hair reduction of facial and body hair. KONA LHE is the alternative to laser hair removal. KONA LHE gently, and permanently, removes the hair down to the root. The energy of light and heat damages the hair germ cells, thus destroying the hair, without harming the surrounding skin. The system is 10 times faster than electrolysis and laser hair removal. An intense light pulse is emitted which the melanin in the hair absorbs. A heat pulse is directed at the hair papilla. 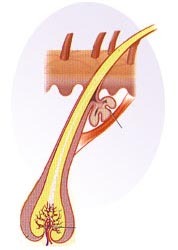 This unique combination of light and heat means the hair follicle temperature is raised to coagulation point. This means the hair follicle is damaged, which delays and even prevents further growth. This procedure generates long lasting hair removal. KONA can remove hair from anywhere The system is suitable for hair removal on the face, and body, bikini, under arms, legs back, shoulders, chest – in fact any area you choose! Even better this system works on all hair colours (unlike most lasers which tend to treat only dark hairs). Free Consultation We offer tailor made treatment plans and a free consultation (worth £65). Prices range from as little as £40 up to a maximum of £300 per session (depending on the area to be treated) exact prices will be discussed during your free consultation. After which a test patch is always carried out (cost £15) to ensure the treatment is suitable.